Elder M. Russell Ballard recently stressed that it is important for Gospel educators to be well-informed on controversial topics, not only by studying the scriptures and Church materials, but also by reading “the best LDS scholarship available.” I personally think it is imperative in today’s world for every Latter-day Saint—not just Gospel educators—to make an effort to be informed on both controversial issues as well as knowing reliable faith-building information as well. An important step in the process of getting informed is reading the 11 Gospel Topic essays and getting familiar with their contents. But what’s next? How can a person learn more about these and other topics? What are the “best books” (D&C 88:118) or “the best LDS scholarship available”? 1. 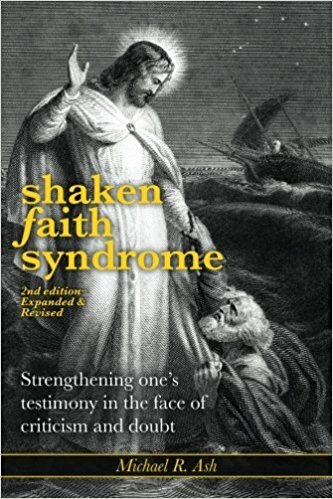 Michael R. Ash, Shaken Faith Syndrome: Strengthening One’s Testimony in the Face of Criticism and Doubt, 2nd edition (FairMormon, 2013; 358 pp.). If you are only going to read one book, make it this one. In the first part of the book, Ash discusses the cognitive and emotional processes involved in a faith crisis, and talks about some of the limitations of scholarship, and covers fallacies used in critical approaches. In the second part, he reviews several of the major issues and offers responses. No other book that I know of deals with both of these things like this book does, and the intellectual and emotional awareness you gain from part one of this book by itself can go a long way to avoiding a faith crisis. 2. 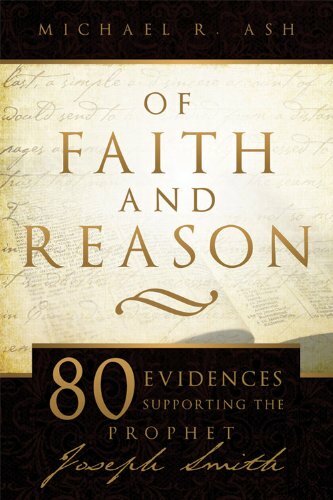 Michael R. Ash, Of Faith and Reason: 80 Evidences Supporting the Prophet Joseph Smith (Cedar Fort, 2008; 191 pp.). It’s important to supplement faithful perspectives on difficult issues with faith-building material as well. This second book from Ash does just that, covering 80 evidences supporting Joseph Smith’s prophetic calling, the Book of Mormon, the Book of Abraham, and restoration doctrines. Each is treated in just a few paragraphs, thus covering a lot of evidence in short, readable segments. 3. 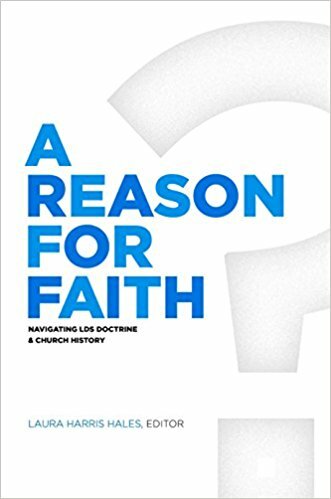 Laura Harris Hales, ed., A Reason for Faith: Navigating LDS Doctrine and Church History (Deseret Book and BYU Religious Studies Center, 2016; 249 pp.). A group of top-notch scholars addresses topics like Joseph Smith and magic/treasure digging, the First Vision accounts, Book of Mormon translation and anachronisms, DNA and the Book of Mormon, polygamy, race, women, and homosexuality, and much more. There are 17 essays all together. 4. 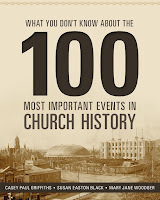 Casey Paul Griffiths, Susan Easton Black, and Mary Jane Woodger, What You Don’t Know About the 100 Most Important Events in Church History (Deseret Book, 2016; 321 pp.). 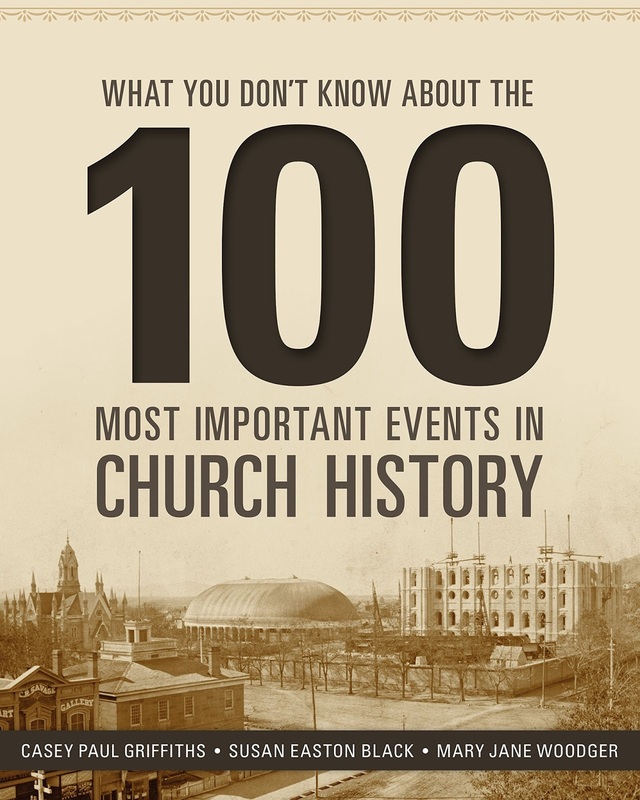 This book is chock-full of inspiring stories from Church History—the kind you’ll never here about from critical online sources. But it also does a nice job of incorporating the details critics often exploit, and in some cases tackles events (in a faithful way) usually only told from a critical perspective. And each story is told in a concise and engaging way. 5. Steven C. Harper, Joseph Smith’s First Vision: A Guide to the Historical Accounts (Deseret Book, 2012; 128 pp.). An excellent, concise, up-to-date, and very readable treatment of the First Vision and the different accounts. Includes full transcriptions of the different accounts, and provides historical background for each, discusses differences and similarities, and responds to criticisms. 6. Michael Hubbard MacKay and Gerrit J. Dirkmaat, From Darkness Unto Light: Joseph Smith’s Translation and Publication of the Book of Mormon (Deseret Book and BYU Religious Studies Center, 2015; 256 pp.). Wonderful account of the coming forth of the Book of Mormon. Tells the story in a way that incorporates magic and seer stones, but also enriches the story with a number of unfamiliar details. I had read several books and articles about all of this before reading this book, and still learned new things. 7. 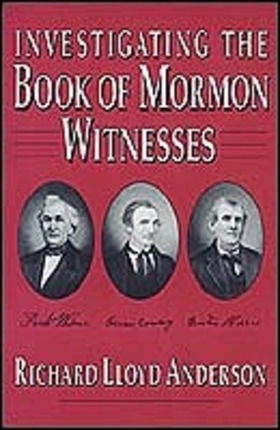 Richard Lloyd Anderson, Investigating the Book of Mormon Witnesses (Deseret Book, 1981; 206 pp.). A bit older, but still the best treatment of the Book of Mormon witnesses around. 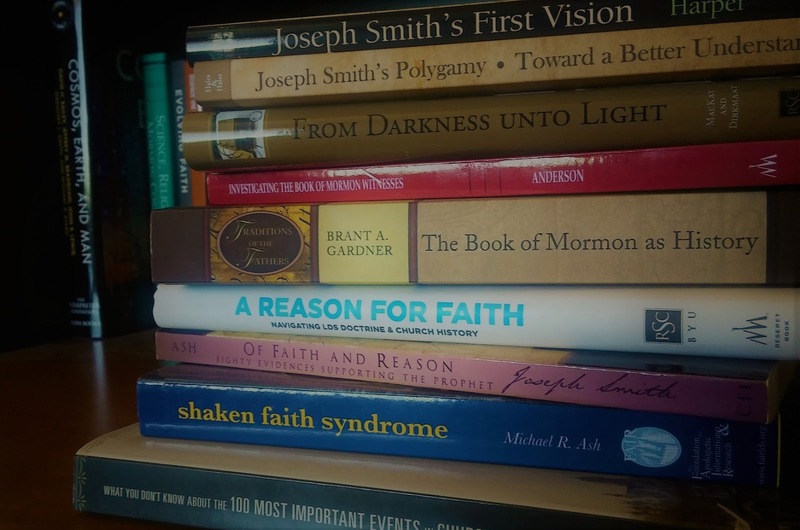 Not only are their testimonies powerful evidence of the Book of Mormon, but they are also inspiring stories from Church history in their own right (even those who left the Church, but stood by their testimony of the plates). 8. D. Jeffrey Meldrum and Trent D. Stephens, Who are the Children of Lehi? DNA and the Book of Mormon (Greg Kofford Books, 2007; 144 pp.). The best book-length treatment of the DNA issue. Meldrum and Stephens do a very nice job tackling a complex issue in a simple, readable way. Reading this helped me better make sense of the more technical treatments that initially went over my head. 9. 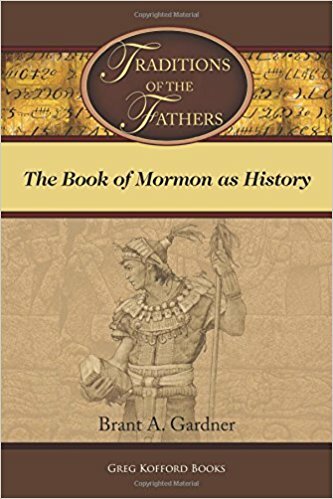 Brant A. Gardner, Traditions of the Fathers: The Book of Mormon as History (Greg Kofford Books, 2015; 456 pp.). The longest, most difficult to read book on this list, but well worth it. 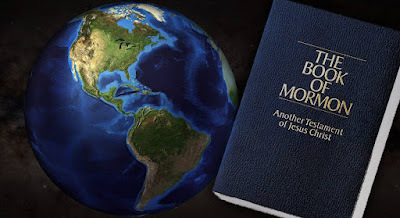 This is the best available book on the historicity of the Book of Mormon, and the only one that covers both evidence from the Old World (Jerusalem and Arabia) and the New World (Mesoamerica). Gardner’s prose is a bit more academic, and his approach challenges standard interpretations in some ways, but this will pay off with new and exciting perspectives supported by ancient evidence. 10. John Gee, An Introduction to the Book of Abraham (Deseret Book and BYU Religious Studies Center, 2017; 160 pp.). This book won’t actually be available for a few months (October 2, 2017)—good thing you’ve got 14 other books to read in the mean time! 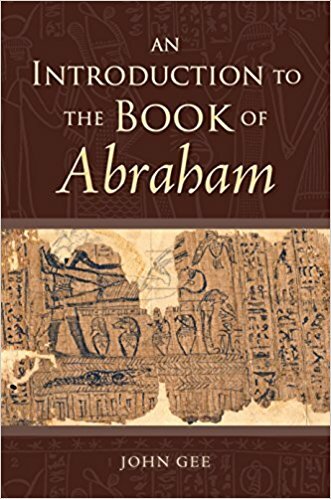 I saw a pre-publication draft a couple of years ago, and while I can’t guarantee nothing has changed, in general I expect it will provide a solid, easy to read treatment on the Book of Abraham, the papyri, and the facsimiles from an Egyptological perspective. 11. Brian C. Hales and Laura H. Hales, Joseph Smith’s Polygamy: Toward a Better Understanding (Greg Kofford Books, 2015; 204 pp.). Discussion of plural marriage as practiced by Joseph Smith. 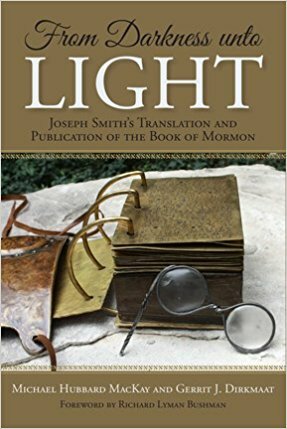 Covers the reasons for its practice, tells the story and development from the early 1830s to the Nauvoo era, doesn’t shy away from the controversial aspects, and provides biographical sketches of each of Joseph Smith’s wives. 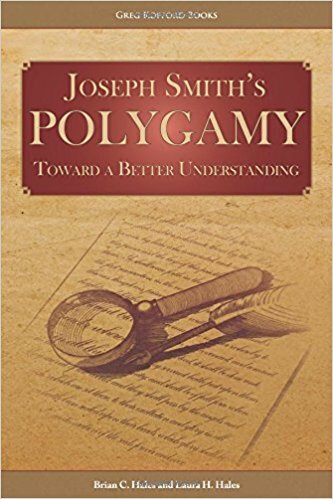 Short and readable, and written by leading experts on the topic of Joseph Smith’s polygamy. 12. 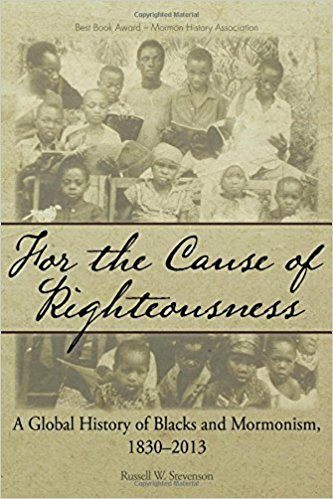 Russell W. Stevenson, For the Cause of Righteousness: A Global History on Blacks and Mormonism, 1830–2013 (Greg Kofford Books, 2013; 419 pp.). This book looks longer than it really is because the second part of the book is a primary documents collection—good for further study and reference, but for just getting your grounding in the topic, the first part is what you need to read through. It tells the story of blacks in the Church from the very beginning, and from around the world. Discusses the priesthood ban, but puts it in broader context of the overall experience of blacks in the church, including several inspiring stories of faith. 13. Ronald W. Walker, Richard E. Turley Jr., Glen M. Leonard, Massacre at Mountain Meadows (Oxford University Press, 2008; 430 pp.). There is no question the Mountain Meadows Massacre is an ugly piece of Mormon history, and nothing can change that. But this excellent historical treatment goes a long way to improving our understanding of that tragic event, and makes clear that Brigham Young was not involved, and in fact counseled against it. 14. 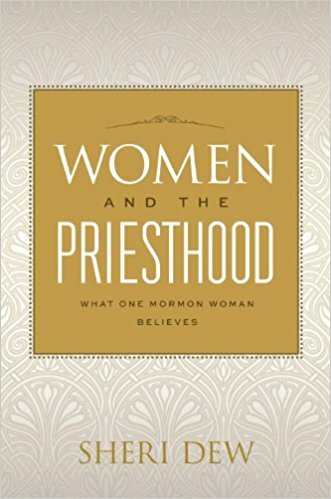 Sheri Dew, Women and the Priesthood: What One Mormon Woman Believes (Deseret Book, 2013; 224 pp.). Dew is, without a doubt, one of the most influential women in the Church today, and here she discusses her perspective on the role of women in the Church, their connection to the priesthood, and their right to revelation and the highest spiritual blessings. 15. 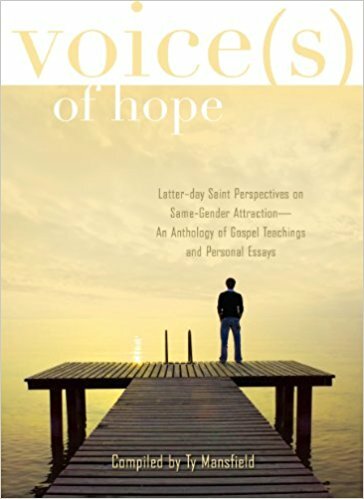 Ty Mansfield, comp., Voice(s) of Hope: Latter-day Saint Perspectives on Same Gender Attraction—An Anthology of Gospel Teachings and Personal Essays (Deseret Book, 2011; 384 pp.). Mansfield is a marriage and family therapist and himself experiences same gender attraction. Here he has compiled a collection of helpful teachings and personal essays from people who either experience same gender attraction or who have family members who do. Obviously, there is a lot more to read on each of these topics, and keeping the list to only 15 was difficult, but I understand that not everybody has time or interest to study every topic comprehensively (I certainly don’t). So I wanted to keep this reading list to a minimum. I feel confident that this list provides a fairly-comprehensive crash course on both controversial issues and supportive evidence for the Restoration with minimal overlap—and where there is overlap, it typically helps provide multiple perspectives. Several of these books are relatively short, which makes up for a couple that are on the longer side of things. I also tried to stick with books that are pretty well up-to-date. Thus, with only one exception, they are all published within the last decade. In a few cases, essays or chapters in the first four books help provide more up-to-date info where the topical books are a little older (but still generally reliable and useful). As it stands, I would guess that an average person could read through these books in about a year, assuming a diligent (daily) reading effort but not a major lifestyle change (wherein one becomes a read-a-holic). Obviously not “instant knowledge,” but I figure this is not a daunting commitment either. A year’s worth of reading seems (to me, at least) a small price to pay to be better informed on important Gospel topics. Books 1–4 represent what I would call “big picture” approaches, which is why they are at the top of the list. They cover a wide variety of issues with at least brief treatments, and provide broader context/perspective on the whole picture. They represent a “bare minimum” reading list that you could use if you really don’t want to do all that much reading—but obviously, you’ll be better informed if you read more books on the list rather than less. Books 5–15 go into the specific topics with a bit more detail. I realize that not all of these topics may interest you (they don’t all interest me either), but given that these are what people—some of whom are likely your friends and family—are struggling with, it is in your best interest to be somewhat informed on them. And besides, you might be surprised to find that these topics are a lot more interesting—and inspiring—than you realize. This is not something that should be done only if you start to have questions or doubts, either. I think we all understand that prevention is better than cure. Being better informed about these topics can not only help prevent you from being blindsided or shocked by more sensational presentations of the facts, but it can also put you in a position to better help those around you—especially your loved ones—if they end up struggling with some of these issues. The bottom line is: don’t wait until it’s a concern to get informed—start now! Great list! Under #4 the word here should be hear. I remember the image of seeing Richard Bushman bestowing the Mormon History Association's Highest honor on a known apostate, D. Michael Quinn. Before that, he and the MHA honored Dan Vogel for his book whose thesis is that Joseph Smith was a pious fraud. Discipleship—or the absence of it, counts. 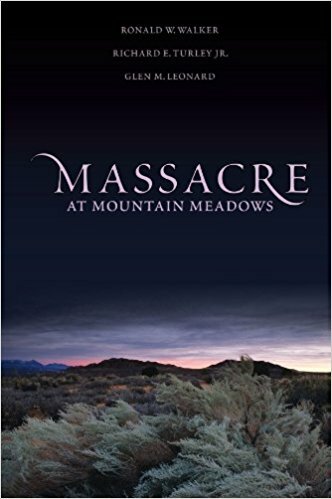 I have not read the book on the Mountain Meadows Massacre yet but have read Juanita Brook's work as well as Bagley's Blood of the Prophet. The massacre occurred in 1857 and John D Lee was tried and executed in 1877 He got a chance to live another 20 years. I consider Blair Hodges a fond acquaintance, but I disagree with the recommendation of Mason's book "Planted: Belief and Belonging in an Age of Doubt." The book's bizarre thesis is that doubt is a valid belief system. Doubt, he teaches, does not need healing, but rather embracing, and that in the face of difficult issues, our only fallback is doubt. It is the new false doctrine of Doubt. It is Mormon Liberal sophistry at its most lethal. I'd be interested in buying Russell Stevenson's book if I wasn't worried about his biases. Having engaged him in discussions online, he genuinely strikes me as someone who wouldn't present all sides of the story of it contradicted his thesis (I'm not sure if the book gets into reasons for the priesthood restrictions--I find speculations as to the reason behind it unproductive), so I wonder if the money would be well spent. Greetings, this is Russell Stevenson. Since you have concern about my "biases" (which, it should go without saying in what we tend to call the postmodern age, we all have), I think it would be reasonable for you to be explicit, clear, and direct in saying where, when, and how I've exhibited them. What key evidence, exactly, have I omitted in making an argument? And with due respect, I wouldn't expect you to know if the book "gets into the reasons for the priesthood restriction"--unless, of course, you have read it for yourself. My work makes no sweeping claims about the mind or will of God; I don't get paid enough for that. So, unless you have a specific critique of either my commentary (based on your experience, of course), my published work, or the book itself, these kinds of implications are pretty thin gruel. If you're inclined to portray me as some kind of cherry-picking shill of my own biases who ignores evidence, the least you could do is....provide evidence. To be honest, the last person whose critique I'd be interested in is the person's who wrote the book, for obvious reasons. It's why I mentioned my reservations, hoping I might get some reassurance from someone whose read the book (besides the person selling the book), especially in regard to any speculation. If it addressed the priesthood ban, I personally wouldn't trust the author to speculate on it in an unbiased manner. It's really that simple, and I have no interest in making anyone else believe it or in proving it to the author. I'm not particularly interested in pitching my book either. It's a little like Toby Ziegler in West Wing where he loses the bet and has to constantly say that he "work[s] at the White House" to strangers. It's a little gauche. However, you _did_ say that you had online interactions with me and that given them, you didn't believe I would address evidence that contradicts my thesis. If you're going to make that accusation, then you can do us all the favor of offering specific reasons that can be addressed and responded to rather than insinuated. It's a statement I have no interest in quibbling about with you here. Quickie comment here, Aliunde: I think brother Stevenson is hopeful of two reasonable Thing: that we consider deep appreciation of Reggae music (but without smoking related herb). Second, he is craving a scenario where you and I read before we plead — to look at book, to hear before we spear! Seeing that he has swum with Mormon Liberal unfaithfuls in their septic tanks (publishing in Dialogue, using MHA symposia), I also was tempted to set him aside. And I agree with you, in that I also want to know that a fountain is trustworthy before I drink from it; we have that moral right. But I think brother Stevenson may be a faithful voice. As faithful Latter-day Saints, I think we can actually make one valid demand of our scholars: that is, that they involve Faithful Perspective in their works. Faithful Perspective is something that secularists and Mormon Liberals have always refused to provide—or even acknowledge. And faithful viewpoint is always possible regardless of how stiffly difficult an issue. But I see hints in Amazon and Deseret.com statements that Rastafarian brother Stevenson may be a faithful voice, worthy of putting dollar on counter! God bless you, Cautious Traveler of Difficult Landscape! There's real pain in our LDS history regarding blacks, and Russ is a faithful friend who is brave enough to try to faithfully confront it. Much regard to him. And much regard to you.